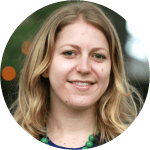 Lindsay Sakraida specializes in writing about retail trends and lifestyle subjects, and her work with DealNews has appeared on MSN Money, Lifehacker, TIME, Business Insider, and more. As a freelance writer, she has been published in a variety of prominent publications, including New York Magazine and CMJ.com. She's obsessed with music, movies, and tennis. This month, JCPenney is killing it with sales. Regardless of where you normally shop — Amazon, Sears, Walmart, or even Modcloth — there's something here for everyone. The deals are starting early this year, which means you might be able to get your shopping done before Thanksgiving. For years we've said you can shop for most Black Friday deals online, aside from the few doorbusters that are in-store only. But our research shows that even that might be changing. Many people are surprised to learn they can score a deal on Apple devices during Black Friday, but everything from the iPhone to the iMac will be on sale. Here's all the best ads that have dropped so far. Black Friday Sales Predictions 2017: Inside Info on the Most Likely Doorbusters! We've made it to November, and the big ads are about to start dropping. Many items will be at their lowest prices of the year during Black Friday, including the usual suspects like TVs and tech. But even clothing, airfare, and beauty items will see big price cuts. So how good will the prices be? Will they actually be worth waiting for? We took a close look at deal prices throughout the year, as well as trends from Black Fridays past, and made 2017 Black Friday predictions for just about every item you might want to buy. It might seem early to be thinking about Black Friday, but smart shoppers know that preparation and budgeting are the keys to taking advantage of the sales. There are few things more thrilling for a deal shopper than getting something for free. With a little patience and creativity, you can almost always find free stuff, be it music, books, or even a month of Amazon Prime. Super cheap long-haul flights are becoming popular. But what are the trade-offs to get a flight to Europe that's cheaper than many domestic routes? One of our editors flew to London and found out that it's totally doable — if you're willing to give a few things up.